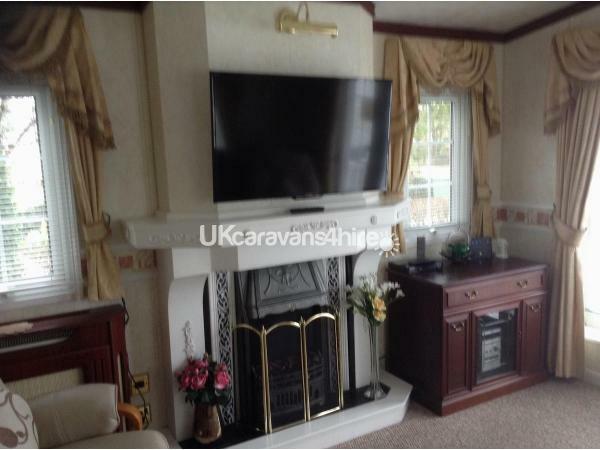 It has free standing furniture 3 piece leather sofa & chairs along with a coffee table, TV cabinet which houses a flat screen television, DVD Player, Sky Digital (Free-view Subscription) & finally a CD/Radio system which can send audio to any room within the caravan. 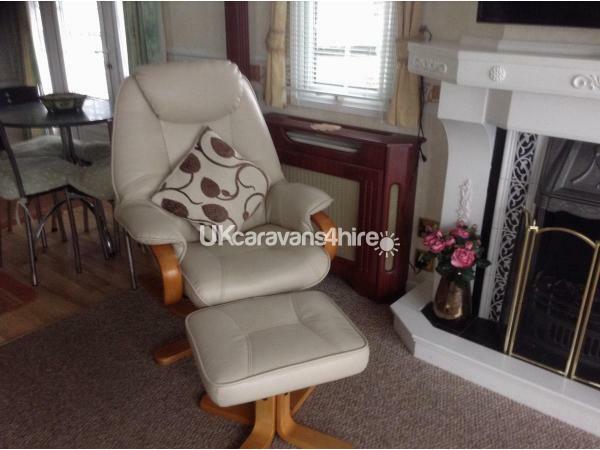 Is fully equipped with full size combined fridge/freezer, microwave, full sized oven & hob, washing machine & pull out ironing board and a George Foreman grill. All cookware & crockery are supplied along with utensils. The dinning area has a Table with seating for 4 people. The Master bedroom is very spacious with plenty of wardrobe & draw space. 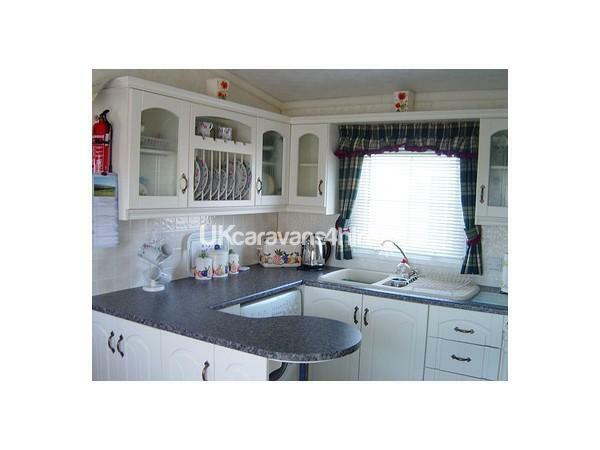 It has a combined TV & Video, a shaving point & an on-suite toilet with wash basin. 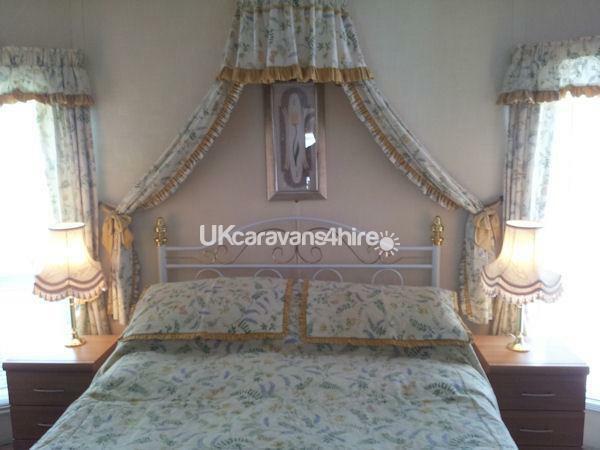 This room has two single beds with overhead cupboard space, a wardrobe with draws & a dressing table with a portable television. *Note* Pillows & Duvets are provided for both bedrooms, you will need to bring your own bed lined & towels. The bathroom has a power shower unit, there is also seating for one built into the shower base. There is also a toilet & wash basin. 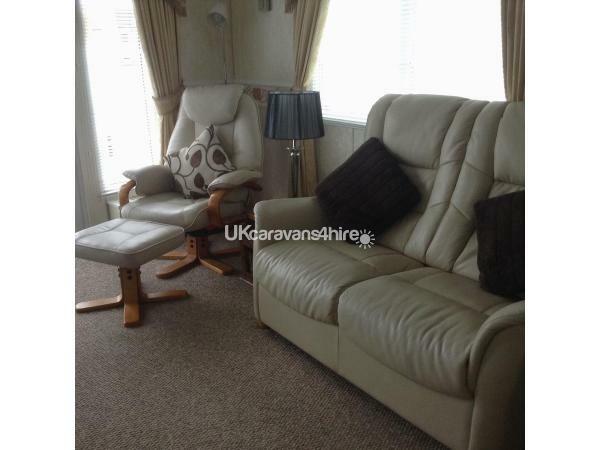 The caravan is located on the end row, so has its own private garden area, there is a patio with table & chairs (includes sun umbrella) supplied for use. Kiln Park has many amenities which include a launderette, supermarket & also a petrol station. There is a fun works on-site & passes can be purchased from Kiln Park reception on arrival. 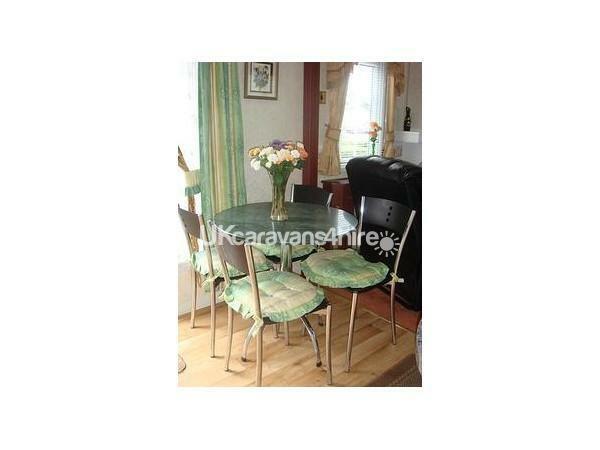 The beach is approximately a 10 minute walk away from the caravan’s location.